I was never the type of girl that looks forward to a salon day. I rarely have my hair styled, colored, or treated. I rarely avail of facial services as well. The only time I visit a salon is when I need a trim (usually) or a haircut. And the only salon I look forward to visiting is a spa (body or nail) until recently when a comment from a professional hairstylist shook my emotions about my hair. 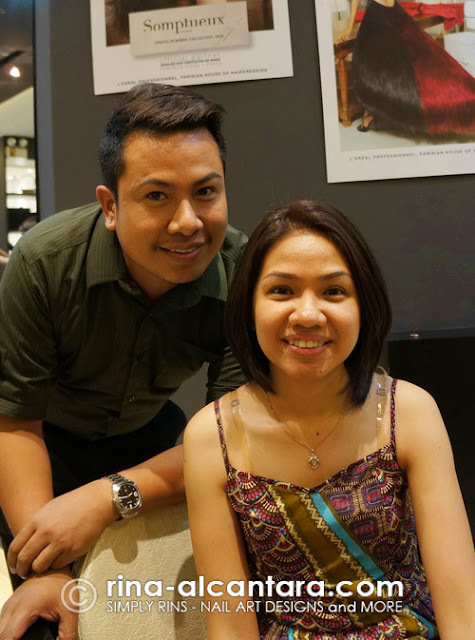 Earlier this month, a friend whom I had a chance to meet during my participation in S3X Tour Tres invited me to the grand opening of Envy Me Salon and Spa at Robinson's Galleria in Ortigas Center, Pasig City. I honestly didn't know what to expect but surprisingly, I came out after a few hours with a new look and a renewed love for femininity. Envy Me Salon and Spa is owned and managed by a family based in Davao. Its first branch opened on August 2006 along McArthur Highway in Davao City. 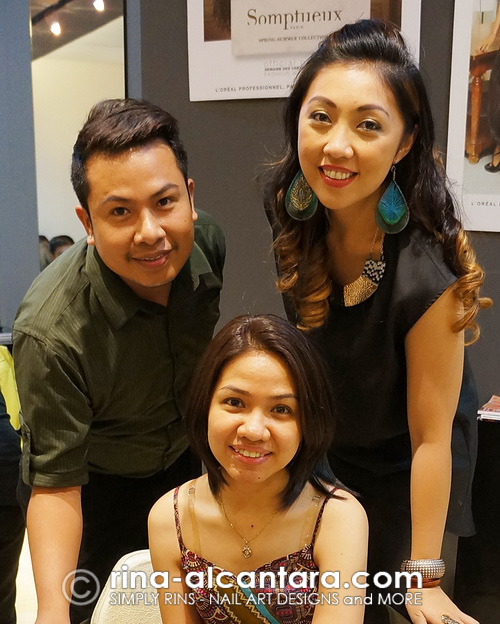 Their objective was to establish a one-stop salon that offers high quality services, excellent customer service, and provide value for money without compromising quality. They also promise updated service portfolio to keep their client well-informed on latest trends in the beauty and wellness industry. All of these were personally and meticulously supervised by the family that consequently paved the way to the success of the business. And now they have opened a branch here in Metro Manila, the first Envy Me Salon and Spa outside of Mindanao. Basic services includes hair cut, styling, blowdry, curl, and make-up. Hair treatments such as hair spa, hair repair, rebond, perm, and scalp treatment. Hair color with choice between Botanique Spa and L'Oreal. Also offers corrective colering, higlights or lowlights, and semi-permanent coloring. Menu of nail services (woot) ranges from the regular mani/pedi to paraffin wax treatments. Body treatments include scrubbing, bleaching, foot reflex, and massage. My first impression of the salon when I stepped in was how comfortably spacious it was and I liked it! Most of the salons I visited were hungry for space. Clients of Envy Me Salon and Spa are given personal space, which I think every girl wants during a salon day. Hair treatments are done here and this photo only shows a portion of the area. The salon can accommodate more than a dozen clients availing of any hair services. Look how elegant and classy! in a shelf at the back that can be easily reached by salon personnel. Oh, notice that cute foot rest! It's very useful for petite girls like myself. There's also a separate room for massages and a classy tub for a body scrub. It was a busy room during the opening and I was not able to take pictures. Nail services are done on a designated area as well and I have to add, with lazyboy seats to boot! This idea of allocating separate spaces for particular services is practical and is a clear indication that Envy Me Salon and Spa does think about customer satisfaction. A handy hook for your bag and other personal belongings. Very insightful! 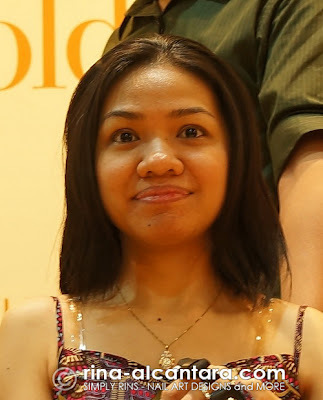 I was preoccupied with taking pictures and taking a guided tour of the salon when I attended the grand opening of Envy Me Salon and Spa in Robinson's Galleria that I didn't have time to consider trying some of the salon's services. I actually wanted to get a hot oil treatment prior to my visit because I felt my hair was dry. Turned out, I had another hair concern that needed more attention. Donna was filling me in on the various hair treatments that is available, the products they use, and the professional hair stylists, colorists, and staff. In our conversation, I mentioned that I was planning to get a hair treatment to repair my slightly dry hair. She gave me a detailed account of the several treatments that's being offered in the salon. She also introduced me to Josh, one of their senior hair stylist and colorist. He further explained hair treatments that I was interested in. I liked how he was able to explain it in a simple way (without much technical terms) that it was easy for me to understand. So I let my hair down (yes, it was in a ponytail ... again) and have him take a look. Then he did his magic. Left photo is before and on the right is how my hair looked after. You have to forgive me for the blurry photos. Well, you can't argue with the "boring" comment. Josh gave me a lighter hair color (my natural hair color is black) and created layers at the sides. He told me a lighter color will help brighten my face and the layers would help create volume but more importantly, it will help show my face more. Apparently, I have a very small head. I forgot to say that I love my new do and I'm thankful that this experience reminded me how fun it is being a girl. :) I now spend a little more time after showers to dry my hair and sometimes, if I have more time, even set it. 2 days after the salon day with a little blow drying. 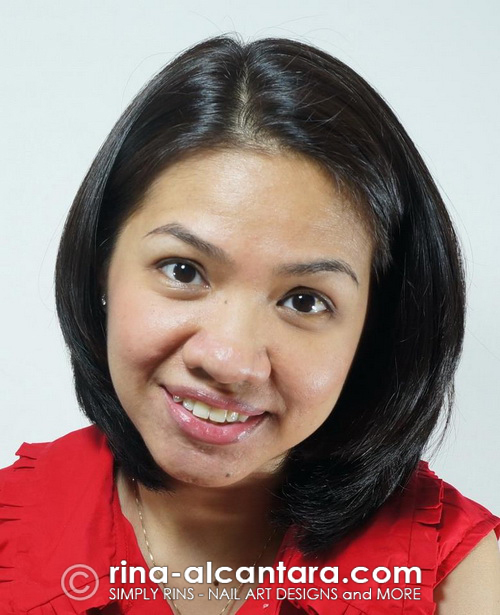 Envy Me Salon and Spa is the first salon in the Philippines that offers the Brazilian Blowout Professional Hair Smoothing Treatment, a service that originated in the U.S. It is a treatment that involves a process to create a well-conditioned hair. It is recommended for people with frizzy, very curly, processed or damaged hair. The best thing about a Brazilian Blowout is that you can immediately wash your hair or even tie it without compromising the treatment. It lasts for approximately 3 months, depending on the condition of your hair and your lifestyle. The cost is somewhat pricey (for me, at least) but I would love to try it soon and experience it. Visit Envy Me Salon and Spa at the 3rd Floor, West Wing of Robinson's Galleria in Ortigas Center, Pasig City. To inquire or book an appointment, you may call them at (02) 2341066.
nice hair. I love it bagay sayo, they really know what to do. I will try to visit their salon when not busy :) nice post..kudos! Love your new haircut! It looks great on you. I have very boring hair and (it's down to the small of my back) and I always pull it back. When I graduate in June, I okay on chopping it off and donating it and hopefully I'll get a cut as flattering as yours! hi, how much is their haircut? Can you give me the price range for the brazilian blowout? 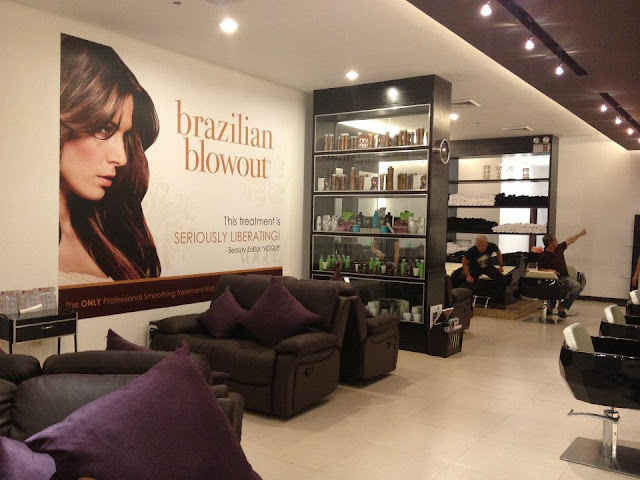 The Brazilian Blowout starts at Php5000, depending on the volume and length of your hair. I hid comments that expressed rants to Envy Me because they were written anonymously and consequently, the salon does not have any means to verify the complaint. And so I am requesting everyone who would be commenting here, whether rant or rave, to please provide a full name to allow Envy Me to check their log of your visit and verify any complain that you may have. Let us keep this blog clean and just. THIS SALON RUINED MY HAIR! I HAD A HAIR DIGITAL PERM AT THIS SALON ONLY LAST MONTH, NOVEMBER 11, 2012. 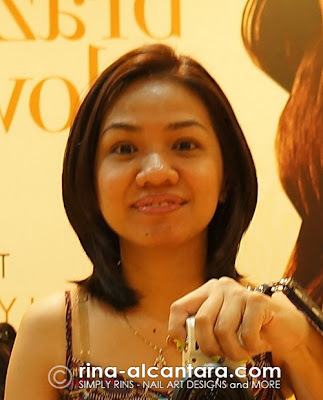 THE NAME OF THE HAIR STYLIST WHO RUINED MY HAIR WAS MR. DON (EVERYBODY CALLS HIM MR. DON) AT ROBINSONS GALLERIA BRANCH. NOW, MY HAIR IS FRIED UP, DRY, FRIZZY AND NOW MY HAIR'S FALLING OUT BAD! TOTALLY DAMAGED! THEY MURDERED MY HAIR! EVEN MY PHOTO SHOOTS HAVE BEEN POSTPONED SO MANY TIMES BECAUSE OF MY UGLY-DAMAGED HAIR! MY LAWYER HAS SENT A DEMAND LETTER TO THIS SALON BUT THE MANAGEMENT JUST IGNORED IT. THEY JUST KEPT MUM. DONT YOU EVER DELETE MY POST BECAUSE I WILL KEEP ON POSTING THIS MESSAGE UNTIL IT IS FIXED! I WILL FILE A LAW SUIT AGAINST THIS SALON IF THEY FAIL TO COMPLY! I'm sorry to hear about your bad experience with Envy Me. I understand how you must feel and I appreciate that you have shared your experience here. But, please be reminded that this blog or this particular blog post was meant to share MY experience. In this light, please DO NOT use ALL CAPS when you comment. Please DO NOT SPAM either, I will just delete them. I hope your problem gets resolved. As for me, I've always had a wonderful experience with Envy Me Salon.